A Star Wars fan favorite is coming back. Today on The Star Wars Show it was announced that in 2019 Lucasfilm Publishing will release a third book in the highly acclaimed Thrawn series, authored by Timothy Zahn. 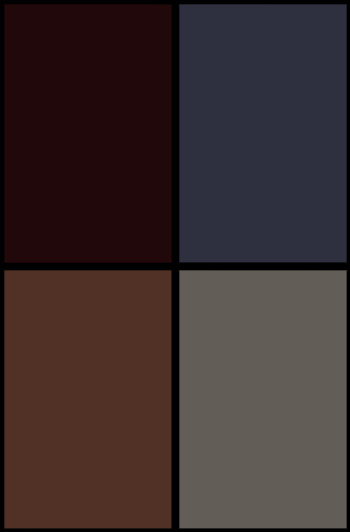 In this third installment, Thrawn: Treason, Grand Admiral Thrawn, will be forced to choose between his adopted Empire and the Chiss Acendancy he previously swore to serve. According to the book description released on starwars.com (see below), Thrawn’s old deputy Eli Vanto will return in Treason, presumably with news from Thrawn’s home world. Fans will remember that Eli Vanto left the empire at the end of Thrawn to serve the Chiss at the suggestion of the Grand Admiral himself. The plot preview also gives us a few hints about the timeline of the book. It notes that the Empire has recently abandoned Thrawn’s TIE Defender project in favor of the Death Star project. As this was a plot point in the first few episodes of Rebels season 4, it is probable that this book takes place during the events of the final season of Rebels. Since Thrawn ended up a long way from the the Empire in the season finale, it is unlikely that the events of the book are set after the Rebels finale. 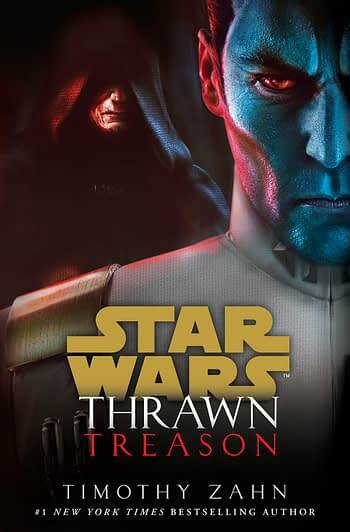 Thrawn: Treason is not set to release until Summer 2019, so fans have lots of time to catch up on the first two Zahn novels, Thrawn and Thrawn: Alliances as well as Rebels season four. Star Wars: Galaxy’s Edge Disneyland- The Falcon is Done!